Portia lay on the frozen ground between her husband and daughter. Snow fluttered softly toward the earth in delicate flakes, each one melting on her face with a pleasant sting. She wouldn’t have to wait much longer. The sunrise, hidden by snow-laden clouds, gradually lit the gray sky.  With numb fingers, she traced her husband’s name, carved into the stoic slate. Jake McAllister, but let her hand drop to the ground before she touched that wretched date. December 16, 1864 — the day her whole world began to fall apart. It had been a day as cold as this one when Jake returned. Portia had stood on their porch, holding Abigail, both of them wrapped in shawls and a quilt. Yet the cold had managed to seep inside, wrapping icy fingers around her heart. Her husband lay lifeless in the back of a wagon. His once-rosy face had turned ashen. Blood caked his Confederate jacket. His hands, large and strong, yet once so gentle, were posed across his belly. His fingers were stiff and claw-like, wrapped around a phantom gun. He did not look like Jake. It had to have been a mannequin with a wig the same dusty red shade of his hair. “That’s not him,” she’d repeated to the men who’d so methodically carried him into the house. Jake would pop out from somewhere, still the jokester he had always been, and she would slap him for playing such a cruel prank. Then she would laugh with him and hold him tight because he had finally returned to her and Abby. But the longer her eyes absorbed the wretched sight, the more evidence she had discovered. Little freckles and scars she knew so well. The pea-sized patch on his jaw where his beard never grew. The missing end of his middle finger, taken by a vicious dog when they were children. It wasn’t a joke. Jake was dead. Mysti Parker is a wife, mom, author, and shameless chocoholic. 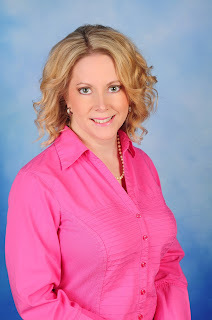 She is the author of the Tallenmere standalone fantasy romance series and The Roche Hotel romantic comedy series. Her short writings have appeared in numerous anthologies and magazines. 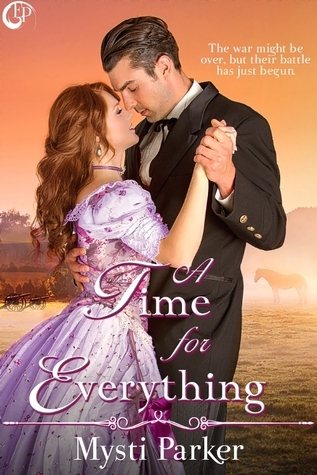 Her award-winning historical romance, A Time for Everything, will be published this summer by EsKape Press. Other writing pursuits include serving as a class mentor in Writers Village University's seven week online course, F2K. She has published two children's books (Quentin's Problem & Fuzzy Buzzy's Treasure) as Misty Baker. When she's not writing fiction,Mysti reviews books for SQ Magazine, an online specfic publication. She resides in Buckner, KY with her husband and three children. Mysti will be awarding a $10 Amazon or Barnes and Noble GC to a randomly drawn winner via rafflecopter during the tour. The 1800's is my favorite time period to read about. I know I would enjoy reading this ! Hi!! 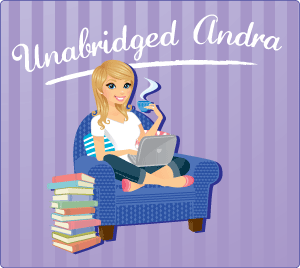 Thanks so much to Andra for hosting my blog tour. Readers, since I write many subgenres of romance, I'd love to know: What is your favorite romance subgenre, and why? Also, what "heat" ratings in terms of sexual content, violence, & profanity do you prefer to read? I'm kind of an all over the place reader myself. I just love a good story. "... Mysti Parker is a ... shameless chocoholic...." Wow. Not just a chocoholic, but a shameless one too! LOL!